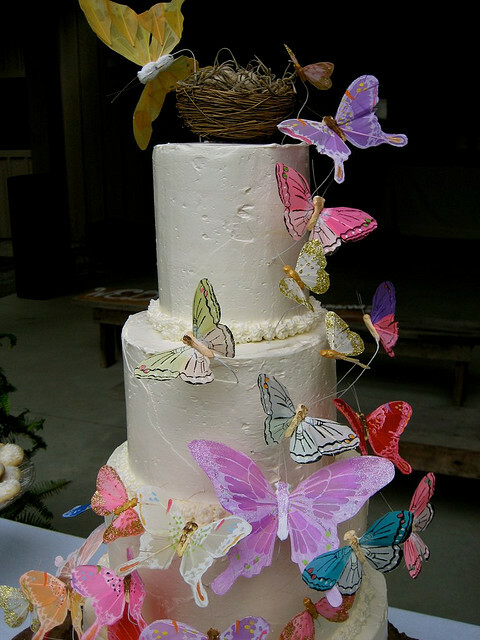 The cake was inspired by Martha Stewart’s butterfly wedding cake, and is white cake with homemade lemon curd and fresh raspberry filling (YUM!). The best part? The bride made the cake and the groom decorated it. Love it.